Is your child soccer crazy? What better birthday party can you give them, than a football party? Giving them a birthday they will always remember can be very rewarding for parents also. Children will receive expert coaching as coaches are FAW qualified. The Birthday boy / girl will receive a trophy, and medals can be purchased for each child. 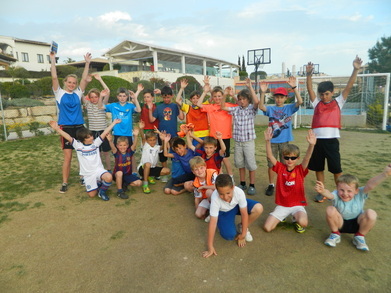 Dream Team Soccer School will come to your venue or we can supply the venue. If you do provide your own venue, please bear in mind the venue must be big enough for all party goers. Examples of venues are sports centers and village halls. of 12 children is £75.00 please add £5.00 per extra child. Dream Team Medals are available at an extra cost of £3.00 Each.